Syndicated with permission from Gonannies.com. As the parent of a girl you will have a lot of ups and downs in your life, maybe even more so than if you have a boy. Girls are more emotional for the most part just because they are girls and for no other reason. It is in their biological make-up. In saying that, are there certain things you need to know when raising a girl? Definitely! These 30 bloggers have put together some very good advice. Dad is probably thinking that he doesn’t know a thing about raising a girl. He never played with dolls or had tea parties. However, the role of a dad is very important to your daughter and these five blog posts will tell you why. Dads Raising Daughters: Daddy Make My Hair Pretty! As a mom you might think that it will be a snap raising your daughter because you are a girl and you know how girls think. It might not be that simple. Do you remember how you felt about your mom growing up? Be prepared! Read these five blog entries to help you avoid the mistakes that your mom may have made. Toddlers are toddlers right? Do you need to do anything differently when raising a toddler girl? These five bloggers seem to think so. Read through these posts and see if you can see why toddler girls are different. You might think your daughter has jumped over the tween years and gone right into the teen years, but that’s part of the whole tween thing. Some days she will act like a little girl and play with her dolls and the next day she wants to go shopping for an iPod. These five blog posts will help you with your tween. Going through puberty is difficult, but watching your daughter go through puberty is a nightmare. Your little girl is growing up. What can you do to help her transition? Check out these five blog entries for answers. Once your little girl becomes a teen you may no longer recognize her. Her body will change and her moods will change. How do you parent a teen girl? These five blog posts will help you figure it all out. Syndicated with permission by http://www.fulltimenanny.com. I reached out to my good friend Dr. Christina Powell and asked her some of the most common faith based questions parents face. As a mother, Harvard trained research scientist and an ordained minister, she’s in a unique position to provide helpful insight. Here’s what she had to say. eNannySource: What are some practical ways to teach kids about faith? Dr. Powell: The Bible instructs parents to teach kids about faith “when you sit at home and when you walk along the road, when you lie down and when you get up” (Deuteronomy 11:19). Everyday moments provide great teaching opportunities for parents to share their faith. A walk in the park exploring nature can lead to a conversation about God as creator. A prayer before mealtime can become a quick lesson on gratitude and God’s provision. Bedtime stories and background music in the home can teach Biblical principles. Children learn about faith best when you weave the lessons into the fabric of family life. 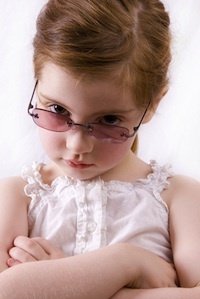 eNannySource: What do you say to parents who are worried their kids won’t behave in church, so they don’t take them? Dr. Powell: Every child is unique, and churches take varied approaches to children’s ministry. Children should be included in the family’s worship practices so they learn to value church and their place in the Christian community. However, for a season, a parent might need to find a compromise that works for their child and their church. In a church without children’s programs, perhaps an energetic young child can enjoy singing with their parents in the main sanctuary, but may need to leave before the sermon. An imperfect solution that increases a child’s involvement in church is better than an approach that does not include the child. Dr. Powell: Children need answers to faith-based questions that deliver the right amount of age-appropriate information. Your answers should be honest and simple, but not sugar coated. Be careful of distorting theology in your attempt to answer the question on the child’s level. As your children develop, you can provide them with more complex answers to meet their growing spiritual needs. eNannySource: What tips do you have for parents whose children doubt the spiritual truths their parents share with them? Dr. Powell: Faith is a decision that each person ultimately makes for himself. At some point in the process of learning spiritual truths from parents, children must decide to make their parent’s faith into their own faith. Doubting can be part of this process. With an older child, guiding the child in the process of discovery can be more helpful than directly providing answers. Show the child how to seek answers from the Bible and through prayer. Help the child connect to peers with a solid faith. Introduce the child to books that strengthen faith. Be a mentor, but let the child go through the discovery process. eNannySource: What role does faith play in the lives of children? Dr. Powell: Faith can comfort a child in the same way that faith comforts adults, helping children work through their fears and better understand their world. Faith provides stability through the ups and downs of life, giving perspective to successes and failures. Faith also teaches a child how to relate to peers and authority figures and make wise life choices. eNannySource: What can happen if parents don’t pass on their faith to their children? Dr. Powell: If parents do not pass their faith to their children, their children may walk away from the faith. Responsibility for the next generation of the church lies primarily with parents. Teachers, pastors and youth leaders can come alongside parents, but no one can replace the role of a parent in a child’s life. eNannySource: Is there anything else you’d like to share? Dr. Powell: In the process of teaching children about faith, we may find they teach us about faith as well. Jesus told his followers they must become as little children in their hearts when they come to him (Matthew 18:2-4). Our children remind us of the trusting relationship we need to have with God. 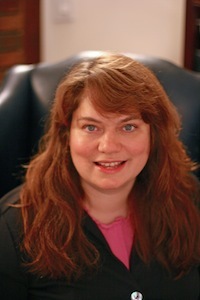 Christina M. H. Powell, Ph.D., is an ordained minister, public speaker, and writer trained as a biomedical research scientist at Harvard University. She is also the mother of two girls. She blogs athttp://www.questionyourdoubts.com and is writing her first book exploring the many roots of doubt and the corresponding response of faith. This post was syndicated with permission from eNannySource.com. Cloth diapering is as easy as using disposable diapers and a whole lot better for the environment. Day 4 of the 12-days of Christmas sale gives you the opportunity to SAVE on cloth diapers and accessories. You don’t cloth diaper but have been thinking you might want to give it a try? Did you know that you will spend over $2,500 for one child on disposable diapers? Compared to that, cloth diapering is affordable, you can re-use cloth diapers on siblings down the road, the colors and styles are super cute and it is GREAT for the environment! Here is a great way to get just a few diapers and see how you like it! 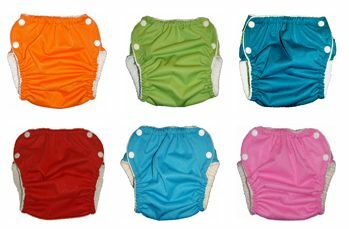 All GAD diapers have been re-priced TO INCLUDE a microfiber terry insert!! Regular price $20 for the two pieces, now only $16. Need detergent for your cloth diapers? Get some Rockin’ Green! Want to make cloth diapering even easier? Bummis flushable liners make dealing with the poop a whole lot better!! Diapers, wet bags, dryer balls, detergent, liners, bamboo wipes….we’ve got everything you need! Happy shopping.